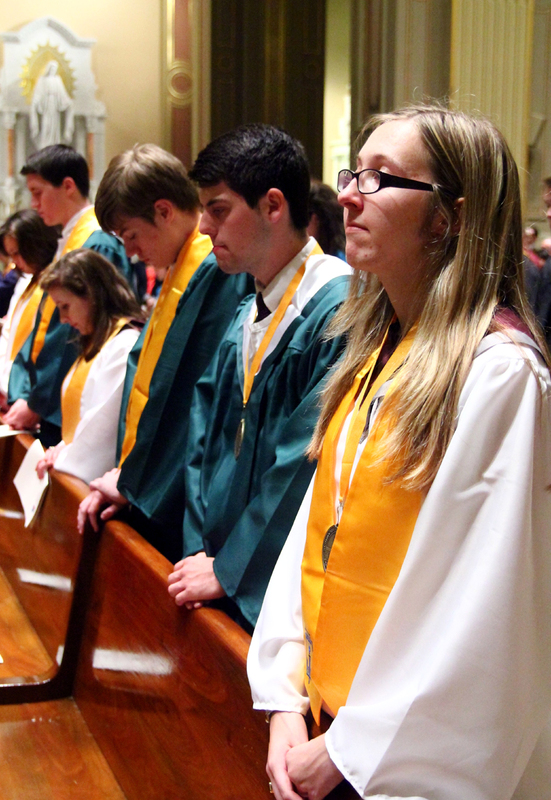 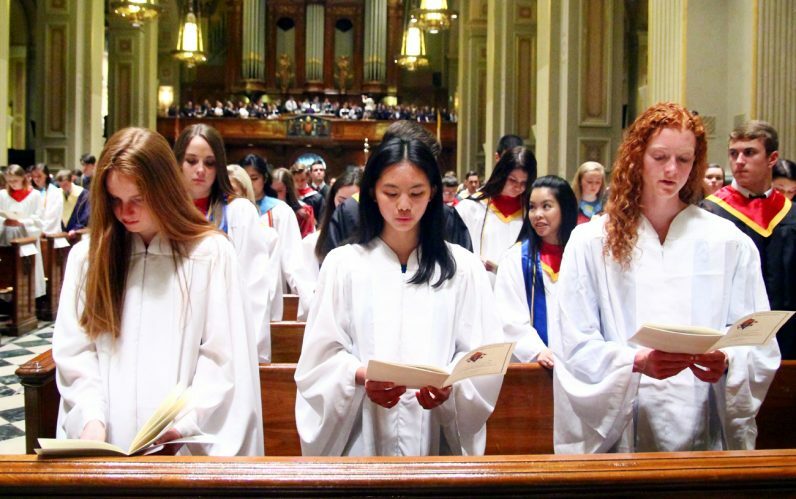 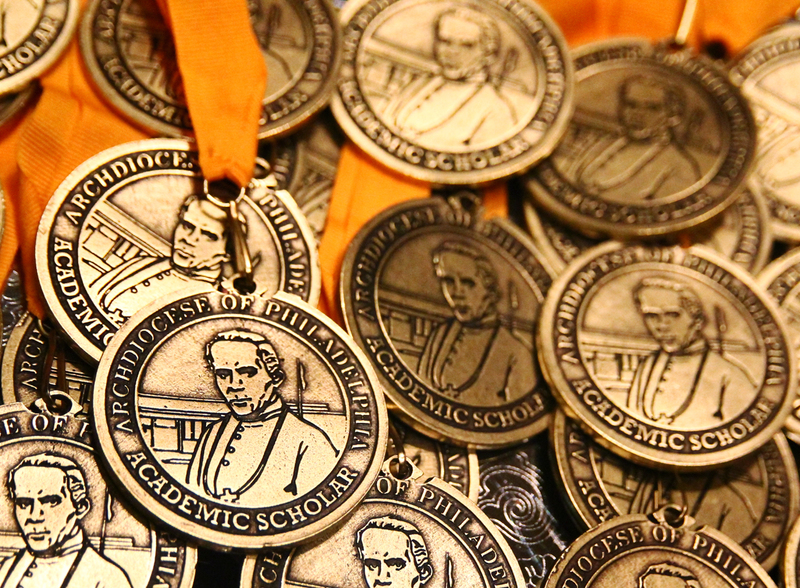 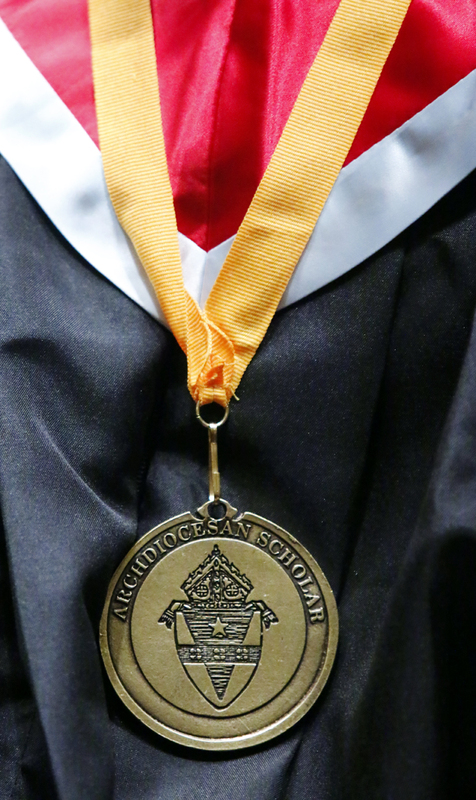 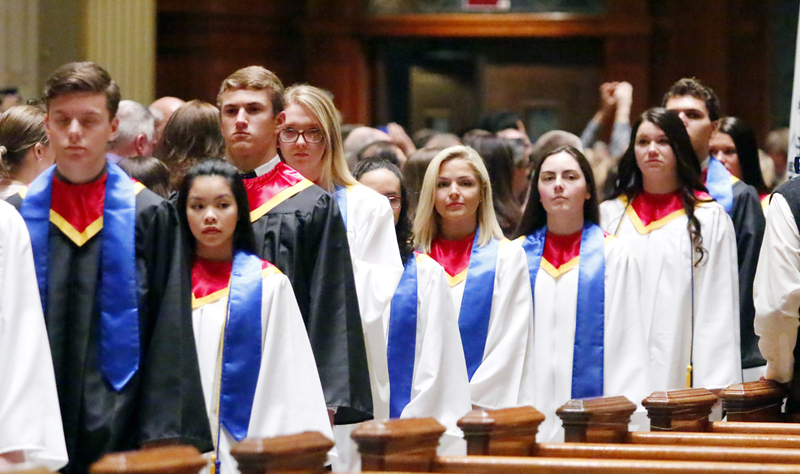 The Academic Honors Convocation held May 24 at the Cathedral Basilica of SS. 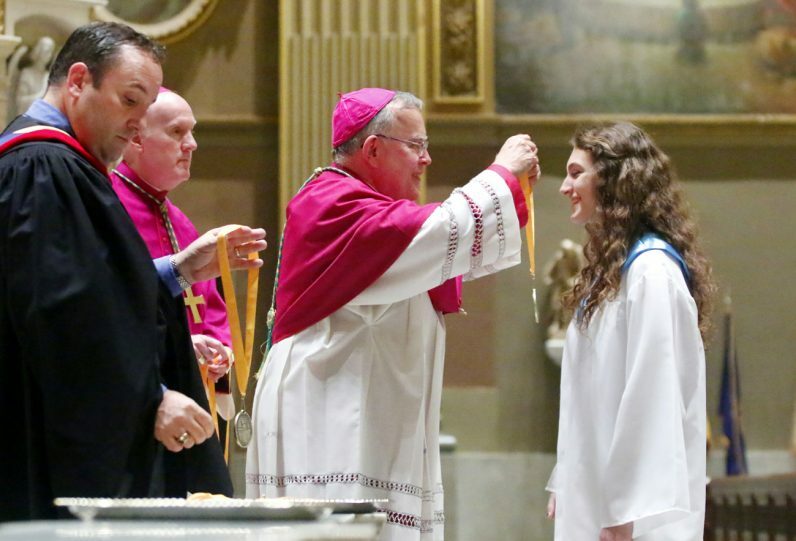 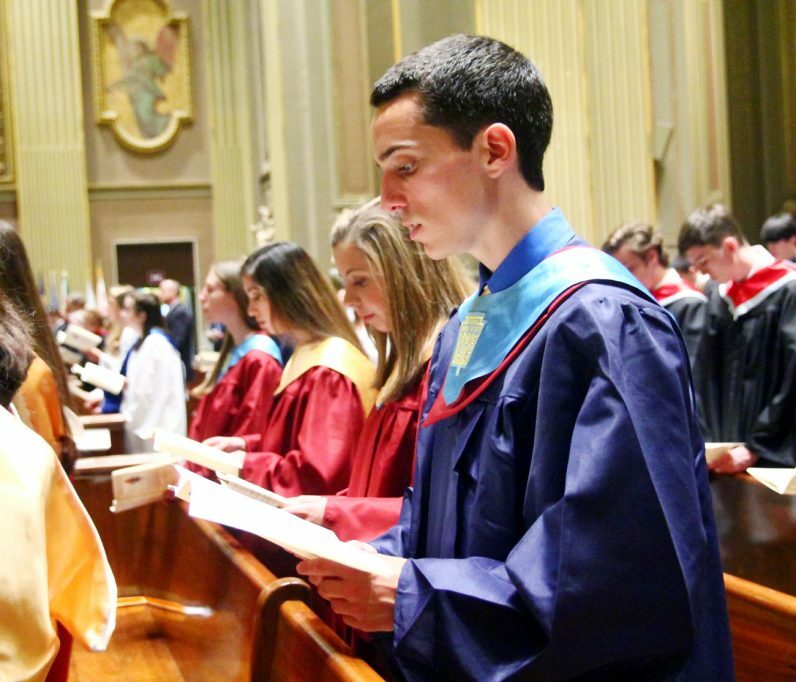 Peter and Paul recognized the academic excellence of 149 graduating seniors from 32 archdiocesan and private Catholic high schools. 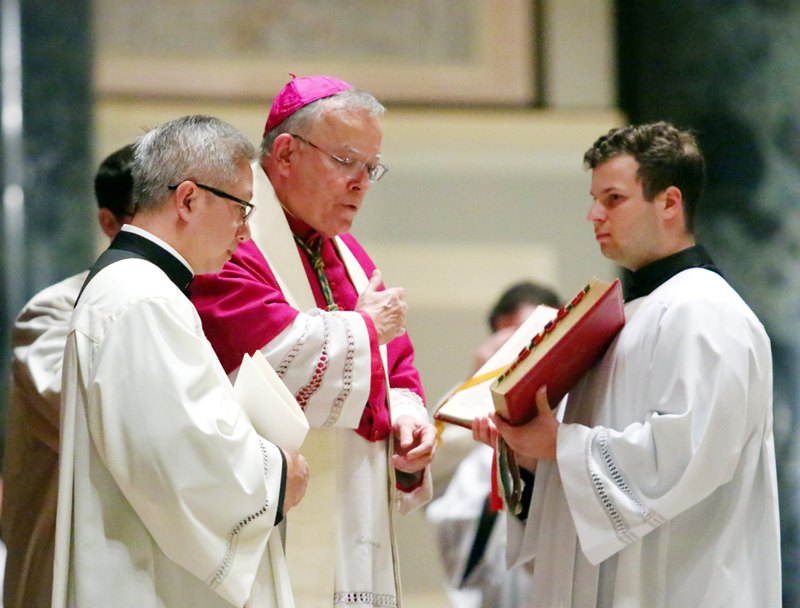 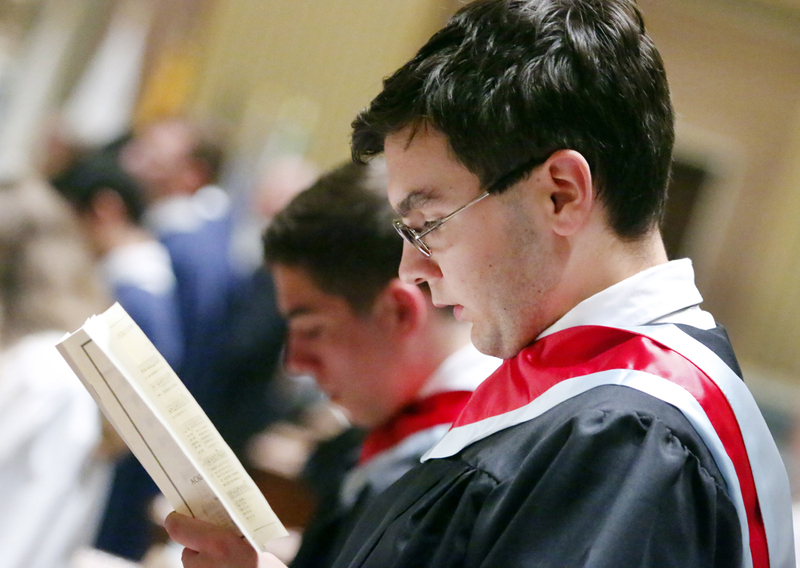 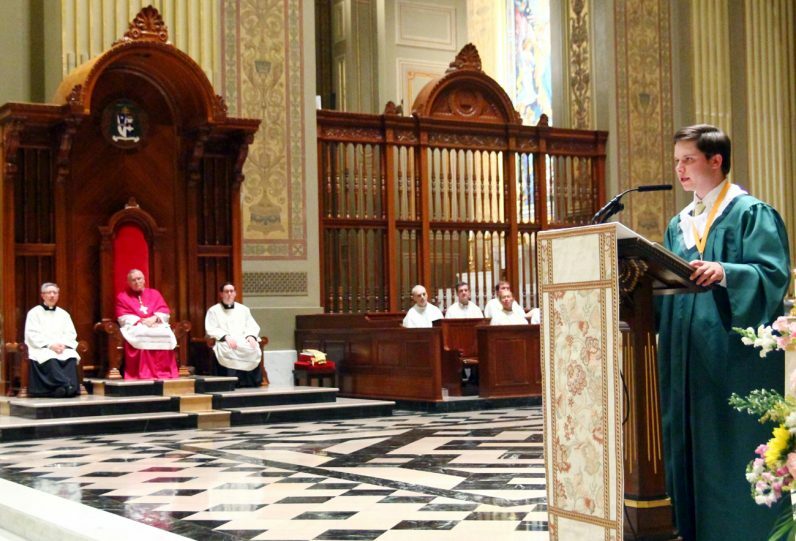 The 37th annual convocation was led by Archbishop Charles Chaput who also presided at a preceding Liturgy of the Word. 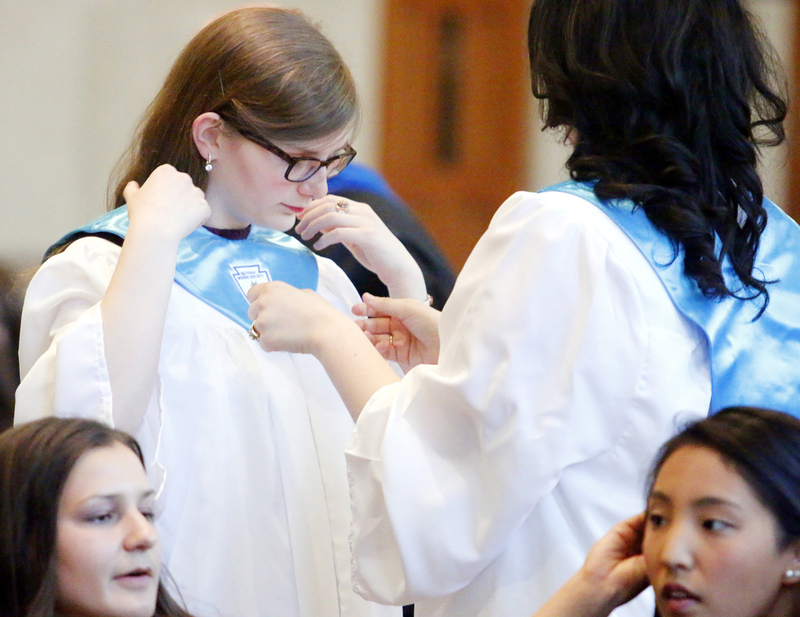 Little Flower High School graduate Theresa Pearce (right) helps Jamie Galanaugh straighten her gown. 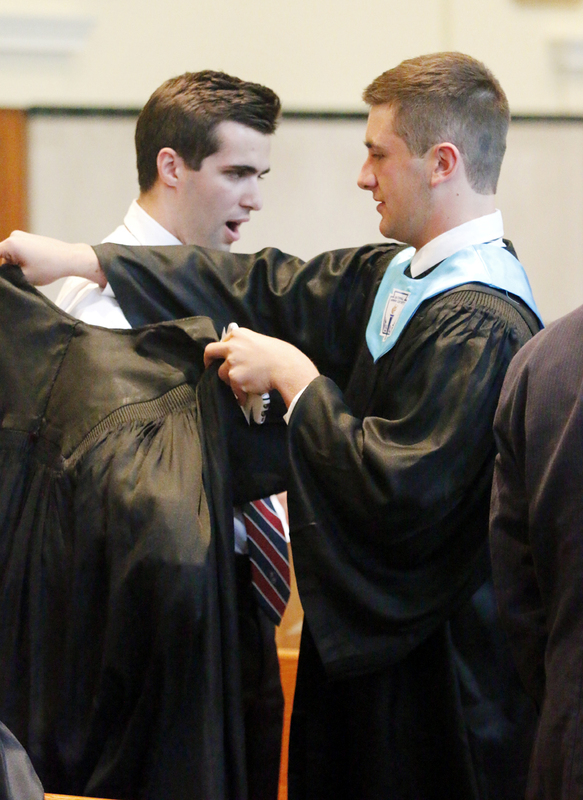 Connor Grabowski helps Joseph Iwasyk, from Holy Ghost Preparatory School, with his graduation gown. 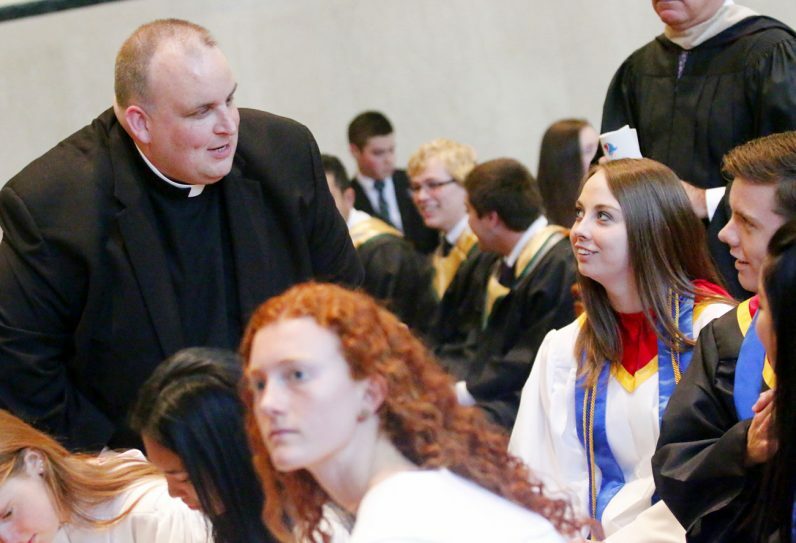 Father John Donia says hello to his former students from Archbishop Ryan High School. 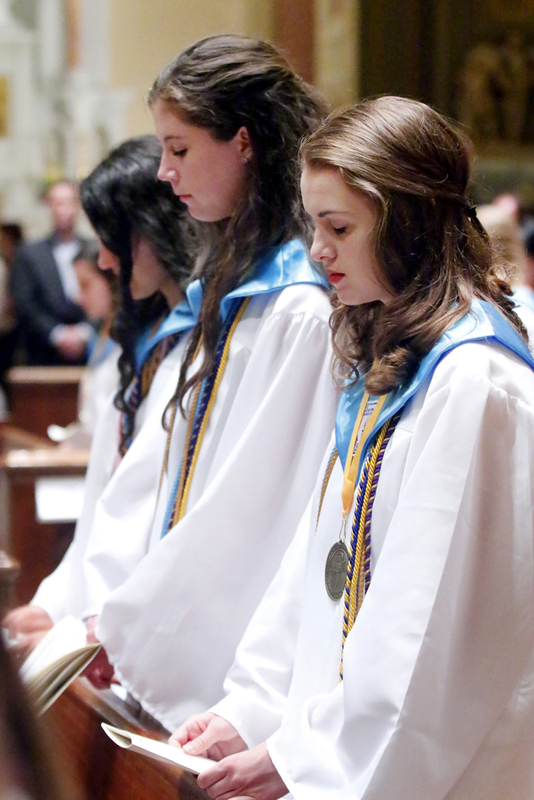 Young ladies from Academy of Notre Dame de Namur sing along during the honors convocation liturgy. 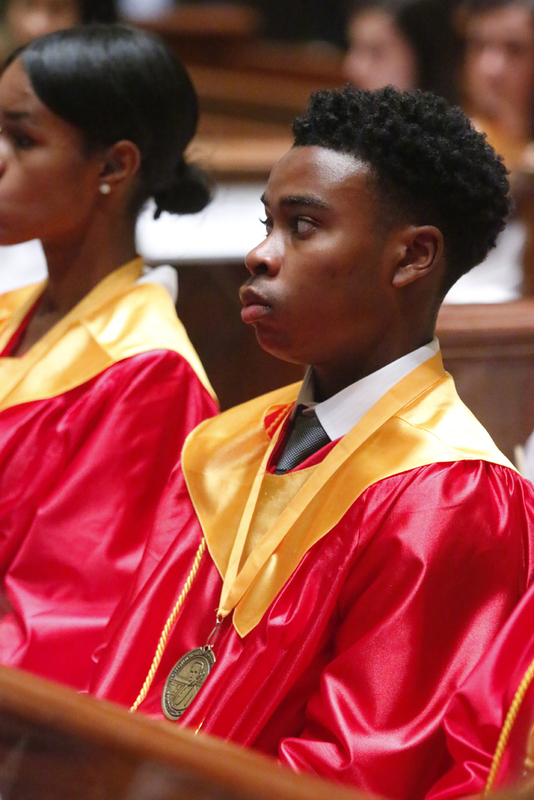 Vincent Darmohray from Father Judge High School sings along during the liturgy. 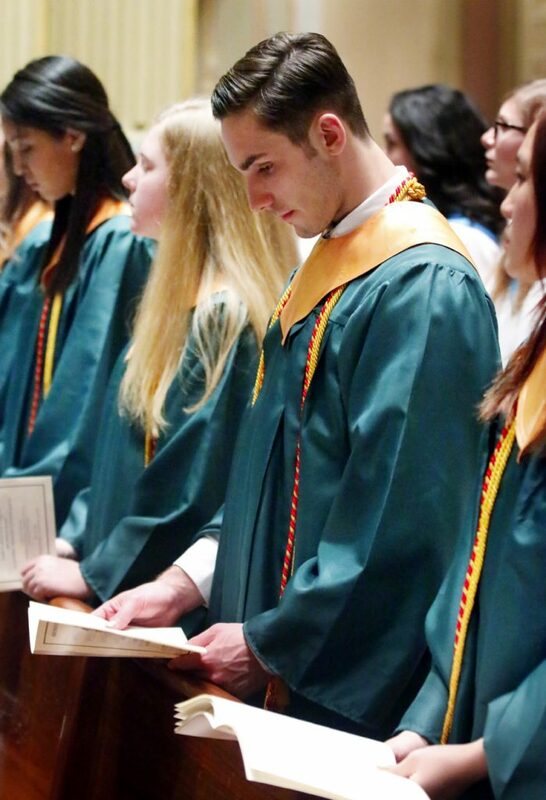 Matthew Falcione prays with fellow Lansdale Catholic honorees. 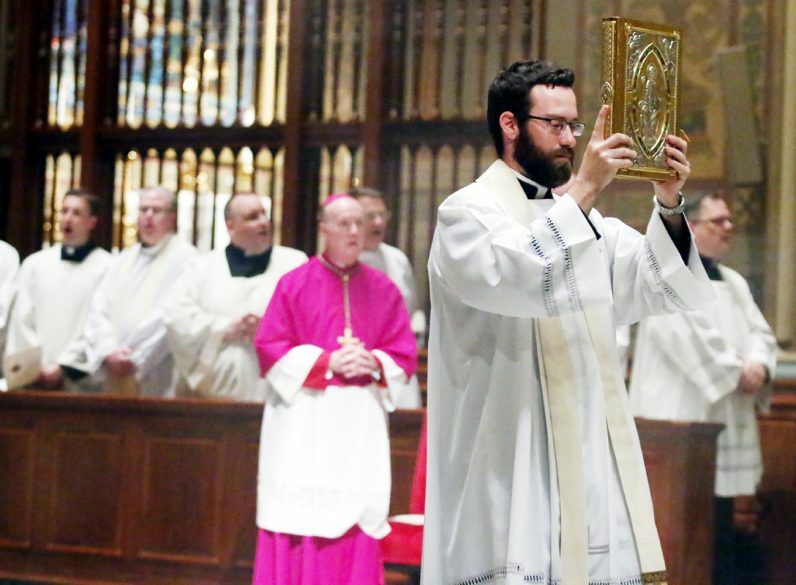 Father Christopher Landis processes with the book of Gospels for the liturgy’s reading. Carolyn Andruzko, Jacqueline Rooney and Rachel Sweeney from Cardinal O’Hara High School hold hands as they pray the Lord’s Prayer. Kristen Adamczyk from Little Flower receives her medal for being in the top 3 percent of her class. 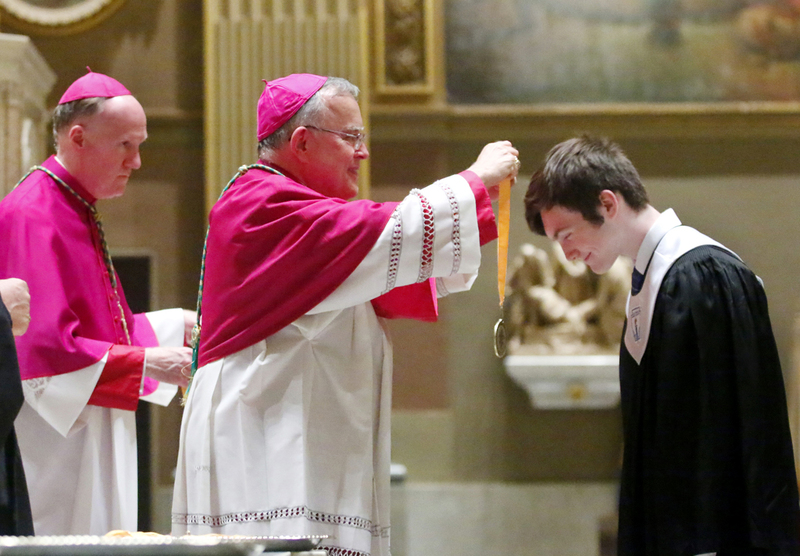 Archbishop Charles Chaput presents a medal to Nicholas Guiliano from Holy Ghost Preparatory School at the honors convocation. 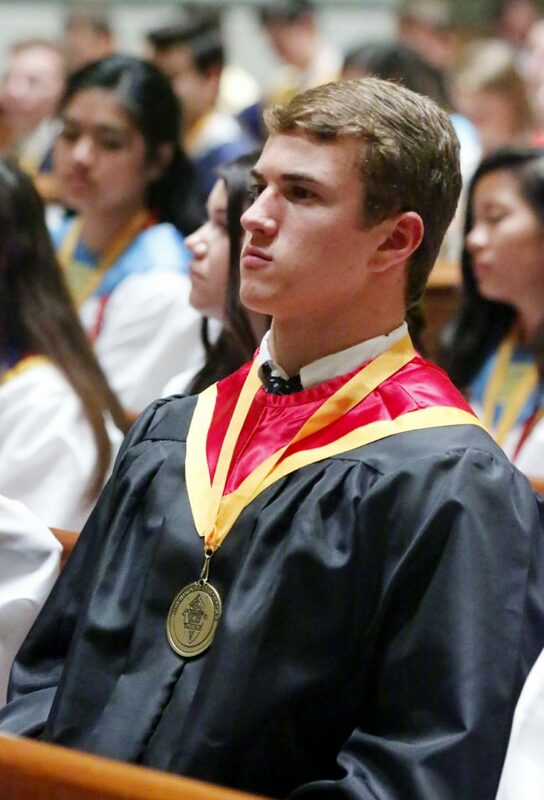 Michael Frye from Roman Catholic High School. 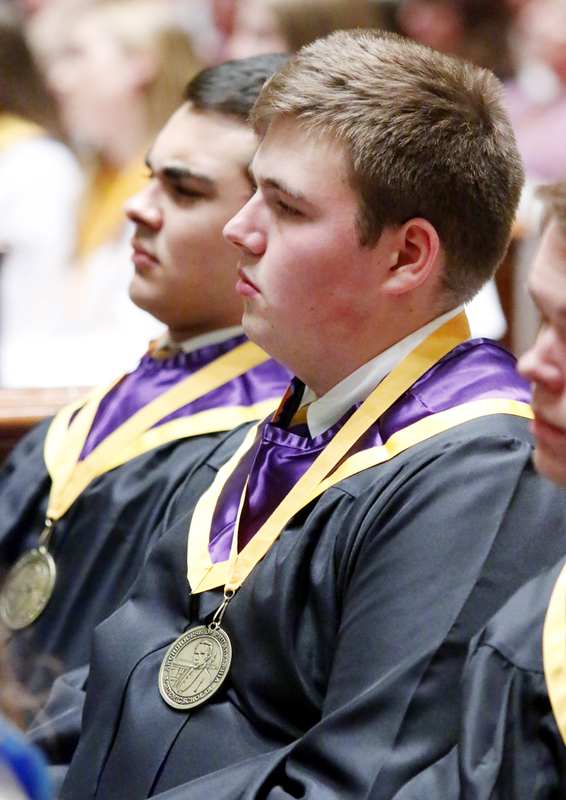 Jared Meares from Mercy Vocational High School wears his new medal proudly. 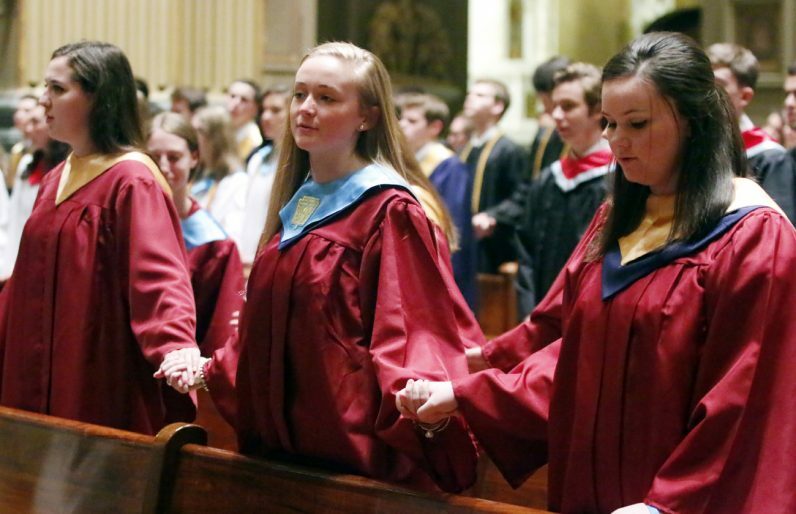 Students from Nazareth Academy bow their heads in prayer.